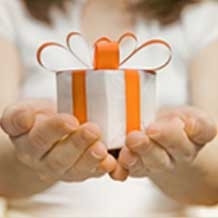 We haven't used a better hand moisturizer and doctors and construction workers alike tell us the same thing. 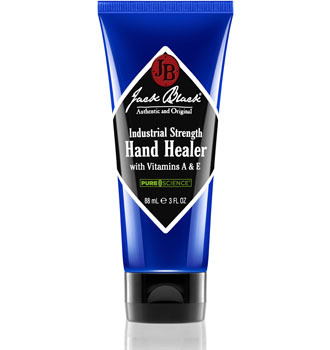 Laced with vitamins A and E, this is the hardest working hand cream we've used. The cream repairs tough skin, flaking skin, cracking skin, cracking cuticles and callouses and provides long-lasting relief. 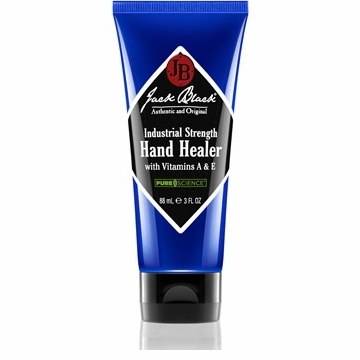 The Jack Black Industrial Strength Hand Healer is also ideal for elbows and feet. 3 ounce tube.